Hello! We are Spring Cheng and Joe Shirley, co-founders of Resonance Path Institute. Rather than a traditional bio, here each of us will share with you our side of the story about how we came to work with one another as partners. After all, our relationship was the container within which the core practices of Resonance Path arose. At the bottom of the page we’ve added some of the key bio information you may be interested in knowing. Furthermore, we would like to speak to the experience of what it is like to learn from, collaborate with, and be influenced by the other. If you join our learning community or get involved in some other way with Resonance Path Institute, you will have the opportunity to experience each of us as well, and we’d like to give you a sense of the promise in that experience. The first moments I spent alone with Spring happened when she arrived at my cottage in Port Townsend in early 2013. We had met six weeks earlier and she had immediately expressed interest in learning Feelingwork. This visit was for face-to-face facilitation and training, to help her integrate some of the big work she had been doing on her own. I opened my front door and she swept in with a torrent of energy and settled herself on my couch, asking to share some ideas with me. For the next few hours she excitedly drew diagrams, scribbled numbers and symbols, and described connections between the work she had been learning from me and the oldest principles of Taoist thought, sprinkling in her perspectives as a Chinese Medicine practitioner and former research scientist. I was dumbfounded by the scope of her thinking and the intensity of her passion. And I was humbled by the recognition that the train of my life had jumped its rails and I was no longer on the same track. During that first visit I confess I did not understand much of what she was trying to tell me. But I sensed something important calling me to listen. Spring was speaking to the great mystery which walks softly beside us all. I had previously made a deal with mystery: You leave me alone, let me spend my days with things I can control and understand, and I will build you a new door through which others might visit you. What I hadn’t bargained on was, a door opens both ways. Through the door I had built, mystery was showing up in my cottage, demanding my attention! We joined forces to give this mystery a home. But to be honest, the going was not easy. Spring is attempting to revive the ancient root of eastern wisdom by nurturing it within her own being while she fully engages with the modern way of thinking. I am coming from the other side, embedded in a western framework despite my attempts to leave it behind. As a result, we often found ourselves at opposite sides of an immense gorge, with a raging torrent at the bottom and nothing but scudding clouds above. In those times, Spring would struggle to articulate some new understanding and I would fail to comprehend. Even worse, I would sometimes find myself digging in my heels and resisting with all my might. There was something deeply unsettling to me in what she was bringing forth, something that eventually forced me to face my unwillingness to embrace mystery as the equal of knowledge. Throughout this period, Spring worked tirelessly. Again and again, she returned to the source of this wisdom, asking it to shape her thoughts, her words, her images. Also, she continued to engage with me and with others, talking, writing, making presentations, and more recently getting involved as an actor in playback theater and enrolling in writing classes, all in search of the right materials with which to build a bridge over the gorge. Another ingredient in the magical mix of her evolution has been her immersion in the study and creation of music. It may be the music which has had the most profound effect on the unfolding of her vision. Slowly, slowly, my resistance eroded through the steady outpouring of her effort. Slowly, slowly I came to see how my fear was rooted in the deep, cultural archetype of the outsider; how my longing to be reunited with my home led me to banish mystery so I could one day belong once again; and how by excluding mystery I was also exiling joy from my life. At the same time as I was making my way on this path, Spring was examining her own resistances, coming to her own realizations about the complementary limitations of her eastern cultural archetypes. Our journey together has been simultaneously the most satisfying and the most thrilling adventure of my life. I have never known anyone with such great capacity to face her own fear, grief, and pain with such fierceness and more than fierceness, with such profound trust in herself and in the world. Nor have I ever met anyone who has had such a profound influence on my thinking, my feeling, my deepest experience of life. Something far larger than any one of us is moving into our lives through Spring. My fondest wish for you is that you have the opportunity to be moved by that force as well. In 1995, before I left China, I wrote in my personal essay for graduate school application, “I aspire to be an agent in bringing forth the marriage between east and west.” I thought it was just a metaphor, but life seems to take my statement literally. In the summer of 2012, I was preparing to open my Acupuncture clinic. I had a dream where I saw a stranger working tirelessly on cultivating a garden all by himself. I was so touched by his dedication and strength, I named my clinic “Cultivating Vitality.” Several months later, I met this stranger, Joe, and realized that the garden he cultivated was his life’s work – Feelingwork. Joe invented Feelingwork and extricated himself from the life sentence of “bipolar disorder” 20 years ago. Then he poured himself into developing it into a tool to connect people with their deeper selves. His chosen field has been a lonely place with a daunting task, as the only “instrument” he had to engage with this layer of ourselves is his own and others’ subjective experience. As a scientist venturing into this field, Joe’s journey involved cycles upon cycles of intense shedding of his identity so that he could continuously investigate his subjective experience in an objective way, along with thousands of hours assisting others with doing the same. His Feelingwork facilitation offers a gateway to the qualities Joe has cultivated through his brave journey, the meticulous care and rigorous integrity, exquisitely balanced by a fine sensitivity and delightful warmth. My own first encounter with Feelingwork immediately opened up a deep layer in myself that changed the course of my life. A clear, direct experience of Taoism’s most secret teaching exploded under the bedrock of my conscious mind. The life-long separation from this part of my cultural heritage had been the source of the greatest pain and deepest longing in my heart. Accessing this layer of myself was a gift that was beyond even my wildest hopes. After we formed our partnership, it became apparent that the Taoism teaching embedded in me wanted to merge with the energy that has carried Joe along in his creation of Feelingwork. However, the shearing pressure between these two large forces brought on stormy challenges that threatened to tear apart our young, blossoming relationship. Fortunately, the bond between us withstood the challenge and forced us to shed deep, tightly clutched layers of our identity, and we came to meet each other again and again in our uttermost vulnerability and nakedness. It was in this tempering cauldron that the core practice of the Resonance Path was birthed, tested and took on life of its own. On this journey we shared together, another unexpected gift was bestowed on us. Through the continuous opening to our deeper selves, we started creating and playing music together. Neither of us had any prior music training, nor had we even dreamed about having musical talent. And yet the joyful blossoming and inter-weaving of this aspect ourselves has become the primary anchor, and a rich source of nutrients for the growth and maturation of our intimacy and collaboration. And that is the life Joe lives. For me, Joe embodies the life-giving masculine power, a power that is expansive enough to embrace the whole of humanity including its darkest corners; brave enough to be utterly vulnerable and transparent; generous enough to dedicate itself to serve what life asks for. My greatest yearning is to share my joy of experiencing his presence, power and grace with you! Aug 2014 – Present: Founder, Resonance Path Institute. Co-created the philosophical framework of Resonance Work. Designed and researched Fieldwork and Field Tuning as the core practices for the core curriculum taught at Resonance Path Institute. 2002 – 2009: Research Scientist and Research Fellow, Rosetta Inpharmatics, Merck CO, Seattle, WA Research involved large-scale genomic data analysis for biomarker research, body atlases and cancer research. 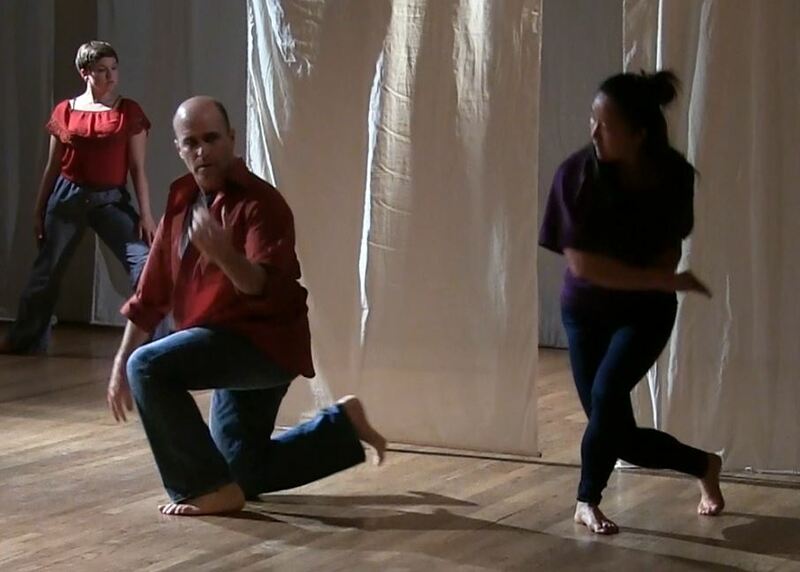 2013 – Present: Active member of Threshold Ensemble, a Playback Theatre company dedicated to improvisational performances of life stories told by audience members. 2006 – 2008: Founder of Mystic Trails, a charity project to support the education of Tibetan children. 1999–2002: Antioch University Seattle, Whole Systems Design Program. Awarded an MA in Whole Systems Design with a focus in Facilitating Transformative Learning Processes in June 2002. 1998: California Institute of Integral Studies, Philosophy, Cosmology and Consciousness Program, PhD track. Studies with Brian Swimme and others. 1996–1997: Antioch University Seattle, BA Completion Program. Awarded a BA in Natural Sciences and Consciousness Studies in December 1997. 1982-1992: Neuro-Linguistic Programming training, including Practitioner Certification (Joe Yeager & Linda Summer), Master Practitioner Certification (NLP Comprehensive), and Design Human Engineering Certification (Richard Bandler). 1980–1984: Various fits and starts, attempting to complete my degree at Penn while unsuccessfully dealing with my mood swings. Finally dropped out with more credits than I needed, but lacking a few key engineering courses for which I had lost all interest. 1979–1980: University of Edinburgh, Scotland. My junior year abroad, funded by a scholarship from the Andrew Mutch Foundation in Philadelphia. Credit-wise, this was a throwaway year as I chose to pursue independent studies rather than stay enrolled in the formal programs available to me. The insights that eventually led to this work came to me during this time. 1977–1979: University of Pennsylvania, pre-med, bioengineering. Completed my medical school prerequisites with flying colors by the end of my sophomore year. 1994 to Present: Independent investigator of the inner, subjective experience of feeling, mood, and emotion. Developer of the Feelingwork method and theoretical framework. Leader of trainings and facilitator of group experiences and individual sessions in Feelingwork. Other Work: Advertising copywriter, graphic designer, research assistant, product developer, counselor. 1987 to Present: Improvisational dance. Various workshops, retreats, and performances. Studied with Manfred Fischbeck, Karl Frost, Tonya Lockyer, John Dixon, many others. Performed with Group Motion, Ausdruckstanz, and Jonas Radvik. Philadelphia and Seattle. 1991–1994: Theater. Performed in several community theater productions in Whitefish, Montana.